by Dr Sharyn Martin, 2015. MCS is a highly controversial condition that is not recognised by the medical and scientific community as a specific disease in Australia. There is a lack of consensus on an appropriate case definition and diagnostic guidelines. MCS is described in the 1999 Consensus diagnostic criteria on MCS as a chronic condition with symptoms occurring in multiple organ systems that recur in response to low levels of exposure to a range of chemicals and improve or resolve when these chemicals are removed (*Bartha L et al, 1999). Characteristic symptoms can include headaches, burning eyes, nose or throat, concentration or memory lapses, nausea, muscle pain, dizziness, breathing problems and fatigue. The debilitating nature of MCS symptoms can cause social isolation and great hardship to individuals, their partners, and family members. The lack of recognition of MCS as a disease is pivotal to many of the difficulties experienced by sufferers. The lack of a medical classification not only creates difficulties in diagnosis and treatment but in relation to worker’s compensation, Commonwealth Government income support payments, and in accessing services. Recognition of MCS would ensure that people with the condition receive more compassionate treatment, appropriate and adequate health care and greater understanding in the community at large. There have been two Australian reviews into MCS. The first was the Social Development Committee of the Parliament of South Australia inquiry on Multiple Chemical Sensitivity that was tabled in Parliament in 2005. The second was the Australian Government Office of Chemical Safety review of the Scientific Literature on MCS finalised in 2011. In 2005, the Social Development Committee of the Parliament of South Australia inquiry on Multiple Chemical Sensitivity was tabled in Parliament. As a result of this inquiry a South Australian Consultative Committee was formed under the Auspices of South Australia Health. The aim of the Consultative Committee was to promote an increased awareness of MCS within SA Health and to see that the Social Committee recommendations were implemented and improvements made to services for people living with MCS. National review and evaluation of the medical literature in relation to the status of MCS with a view to – guide research into the cause, management, impact on fertility and prevalence of the condition and contributing to the formulation of an ongoing national research agenda. Unfortunately this Committee will not continue due to SA Health Department funding shortages. In Nov 2010, the Australian Government of Health and Ageing, through National Industrial Chemicals Notification and Assessment Scheme (NICNAS) and Office of Chemical Safety Environmental Health (OCSEH) released the final Scientific Review Report Multiple Chemical Sensitivity: Identifying key research needs. The aim of the review was to examine current scientific research on MCS and to identify priority areas for further study to inform and engage the clinical and scientific research community. The report highlighted research efforts and further activities that would enhance diagnosis, treatment and better clinical management practises of MCS in Australia. Finding 2. Longitudinal Study to get a better understanding of MCS and identify key elements of MCS such as how MCS is initiated and/or triggered and how sensitivities vary over time. Finding 3. Education/training. A survey of clinical approaches to MCS in Australia identified a lack of coverage of MCS in the current Australian medical curriculum. Other than hospital protocols containing practical measures to assist inpatients with chemical sensitivities, there currently are no clinical guidelines available to inform medical practitioners as to how to provide appropriate care for MCS individuals. The findings determined that a clinical education program should be investigated. The development of a clinical program should be based on currently available evidence, utilise any finding from clinical research in Australia and consider practical guidance on approaches to clinical management as agreed by the participants in a recent clinical review of MCS. An effort is being made by Kelly Vincent SA MP to re-establish the SA Consultative Committee and to seek information on the implementation of Finding 3 from the 2010 Australian Government Scientific Review Report entitled MCS: Identifying Key Research Needs. Recent correspondence to Kelly Vincent MP from Senator Fiona Nash, Assistant Minister for Health, has determined that to date, no specific guidance on approaches to clinical management of MCS has been developed for medical practitioners. These interventions will require the numbers and support to propel these issues forward. You can assist by registering your support on this website. 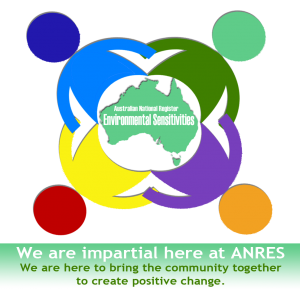 Collecting numbers will not bring about immediate changes but it is the first step in gaining recognition of Environmental Sensitivities which can be largely invisible disabilities in the general community. We need to create the will for action.